Bread is not only a favorite food in Vietnam, but also in many parts of the world. So now, we introduce four most delicious bread in Vietnam for foreign tourists. 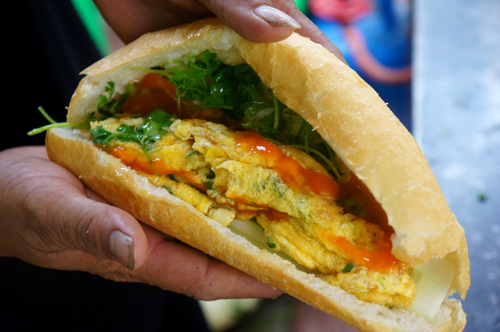 Most popular and favorite is traditional Vietnam bread with a bunch of fillings such as: pate, grilled meat, pork meat roll, pork meat ball, etc. together with vegetable, cucumber, etc. It costs about VND 8,000- 20,000/ loaf. Moreover, it is the dish that has been voted as one of most attractive dishes by international news websites such as: Condé Nast Traveler, National Geographic, etc. 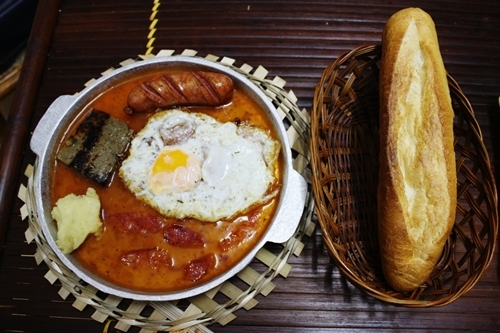 Spicy bread is a well-known specialty in Hai Phong province. 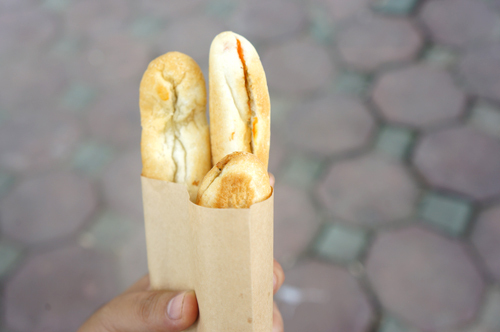 Unlike other stuffed bread, spicy bread is described long thin shape, just VND 10,000/ 3 bread. However, the attractive thing is located in its filling which includes pate and chili sauce. A loaf of pan bread costs about VND 15,000- 30,000. It is not as convenient as traditional bread and spicy bread, but the pan bread is a favorite food to a lot of people, especially young people. With eye-catching appearance, a small pan with additional food, the dish brings a new view for diners. A popular loaf of pan bread includes pate and fried egg but to meet diners’ requirement, shopkeepers add fried potato and hot-dog, etc. When enjoying, diners divide it into smaller pieces to dip with sauce or add with fillings in the pan as the traditional bread. 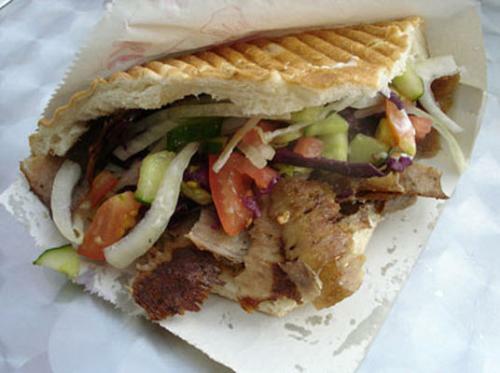 There are two kinds of Doner Kebab: long bread and triangle-shape bread. As a specialty of Turkey, Doner Kebab also attracts a lot of Vietnam diners. In Turkey, Doner Kebab is served with chicken meat, sheep meat, etc. but when is introduced in Vietnam, it is replaced with pork meat and served with salad and vegetable. A loaf of Doner Kebab costs from VND 12,000 to VND 20,000.